After watching a harmless fee turn into a hefty, increasing tax in just three years, Connecticut’s hospitals say a phase-out of the state provider tax is essential to preserve health care services and jobs. With Gov. Dannel P. Malloy’s new biennial budget plan due in just eight days, the Connecticut Hospital Association proposed this week phasing out the provider tax over the next five years. 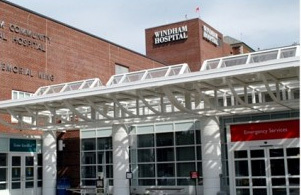 “The hospital tax costs Connecticut hospitals $254 million every year,” CHA spokeswoman Michele Sharp said Monday. “It means they must provide care with even fewer resources” and make fewer investments in staff, medical equipment and other infrastructure. When Malloy first proposed the provider tax in 2011, it was pitched only as a means to secure more federal aid. Connecticut would collect $350 million per year from hospitals. In return, it would send $400 million back to the industry. Connecticut then could take advantage of federal Medicaid rules and secure 50 percent reimbursement on that $400 million expenditure. So with $350 million in tax receipts and a $200 million payment from Washington, D.C., the state budget came out ahead, even after giving $400 million to hospitals. The industry, which paid in $350 million, also came out slightly ahead – but just for one year. After the 2011-12 fiscal year, Malloy and the legislature whittled down payments to hospitals – a move that also cost Connecticut more funding from Washington. Hospitals still pay in $350 million this year, but get just $96 million back. Even with improved federal reimbursement rates – which rose to 70 percent under Obamacare – Connecticut’s take from Washington this year is about $67 million. It would be $280 million if hospitals still received the state assistance they got back in 2011-12. With the legislature’s nonpartisan Office of Fiscal Analysis projecting a hefty, $1,3 billion deficit built into the next fiscal year, and a $1.4 billion gap in 2016-17, legislators from both parties have expressed fears Malloy will propose canceling the final $96 million hospitals still receive. The governor’s budget office said Tuesday it would not release details of the spending plan Malloy will unveil on Feb. 18. But legislators have noticed some disturbing trends since the state began converting the tax-in-name-only into an actual levy on hospitals. According to the most recent statistics, the industry had 55,130 full-time equivalent positions in 2013, down 60 from the prior year. And that’s despite modest improvements in Connecticut’s overall economy during that period. Sharp said that the loss of $254 million to the provider tax each year represents about $123 for every patient with commercial insurance served in Connecticut hospitals. Sharp added that hospital officials “remain hopeful and ready to work with” the governor and the legislature in hopes of crafting a solution to bolster the industry.